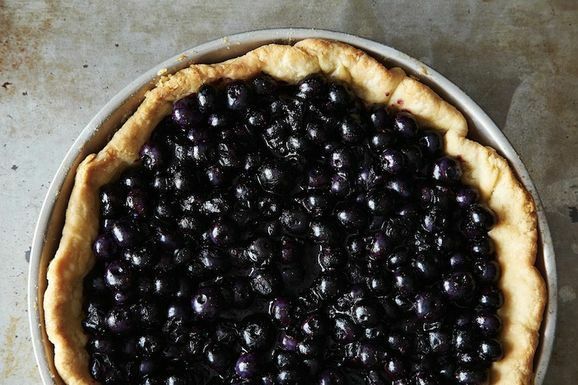 Today: A brighter, lighter blueberry pie for Labor Day. 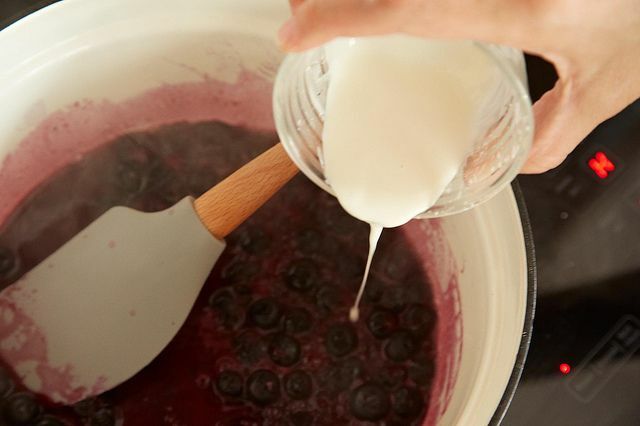 If you've ever cooked a blueberry for more than a minute, you know their fatal flaw. A blueberry is really just a sack of tart-sweet juice, barely contained by a thin, taut orb of skin. It's nature's tiniest water balloon, and like any good water balloon, it wasn't designed to last. So when we want to bake them into a pie, we know they're going to swell through their skins and surrender all their juice, which then needs to be jammed up with sugar and thickeners. There's nothing necessarily wrong with that -- throw on a scoop of vanilla ice cream and it's not not going to get eaten. 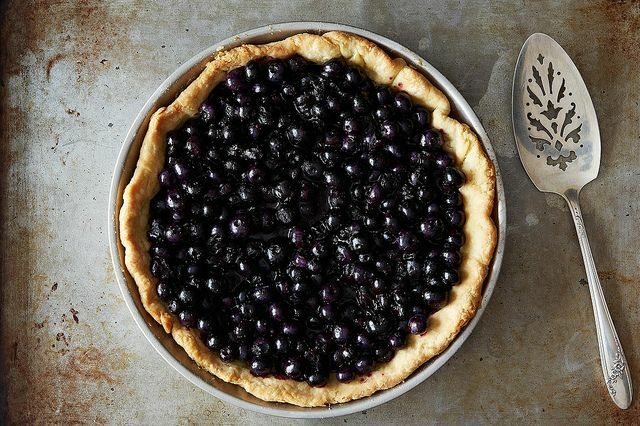 But there's another sort of blueberry pie, one that uses a lighter touch, managing to preserve fresh blueberries in their natural state and ensconce them in a sauce -- made, of course, from more burst blueberries. Fannie Farmer has one, and Sara Moulton does too. Evan Kleiman even took blogger Dorothy Reinhold's on TV to declare its genius. 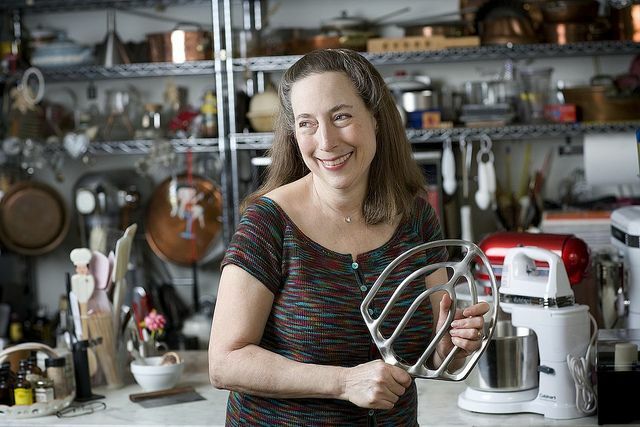 I'm particularly fond of Rose Levy Beranbaum's version from The Pie and Pastry Bible. The filling has only 4 ingredients, and the highest blueberry retention rate of any I've tried -- using the least sugar, the least cornstarch. 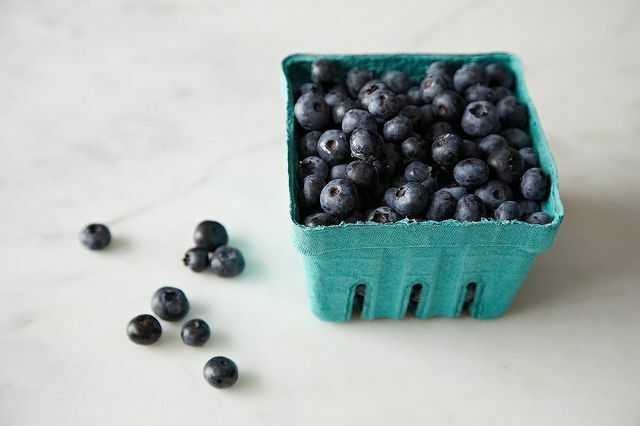 "Here is what my thinking was behind it: Blueberries are such a great burst of flavor when raw but when cooked become soft and bitter requiring quite a bit of sugar," Beranbaum told me. 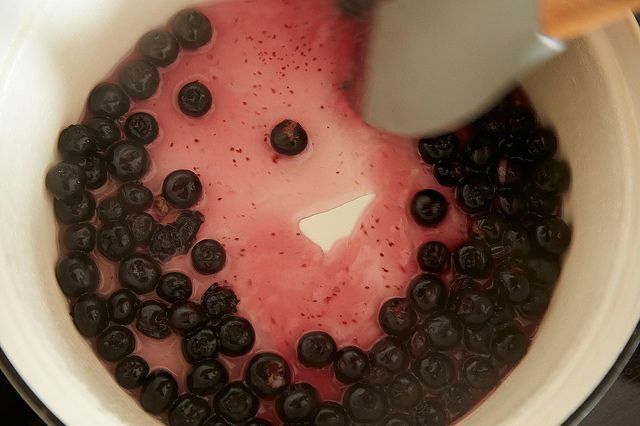 "I also noticed that blueberries turn brilliant navy blue when heated only slightly, so my theory was I could just heat most of them and use the rest to bind them. And it worked as I had envisioned." 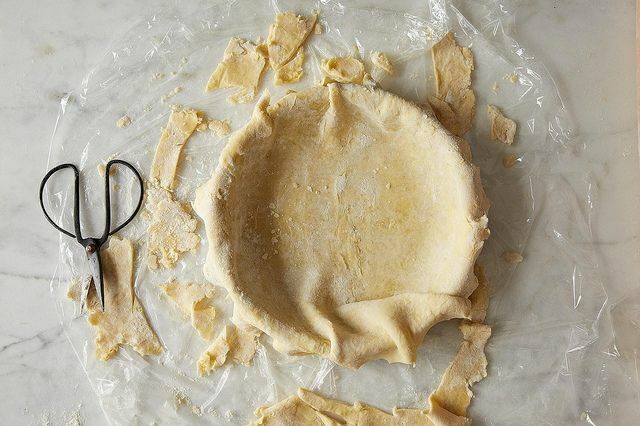 Make whatever single pie crust. You can use your go-to ratios, or I've included Beranbaum's recipe, which is excellent, and has all sorts of clever tricks. 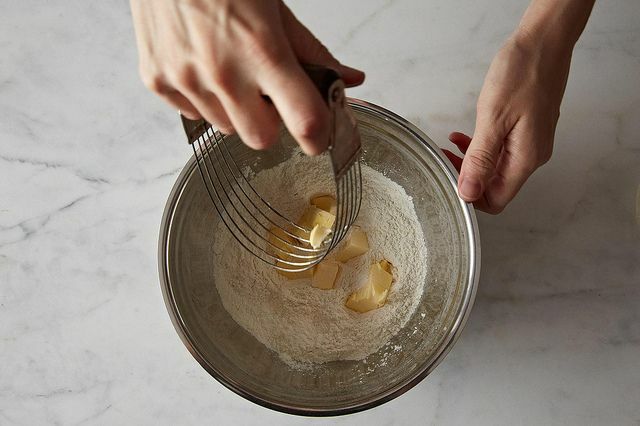 She uses pastry flour and vinegar for less gluten development and a more delicate crust, baking powder for a little extra lift. 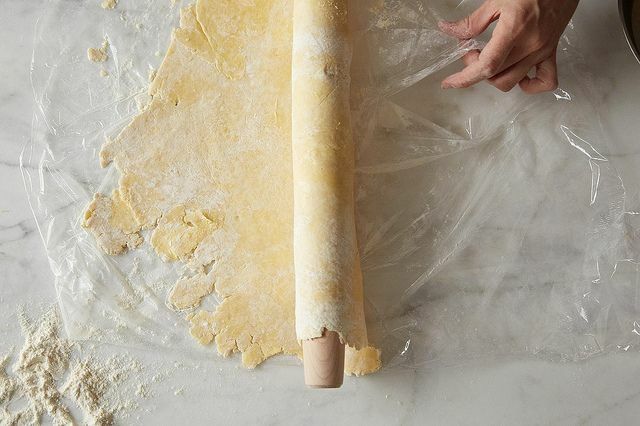 She freezes part of the butter, and bashes it into the flour with a rolling pin. 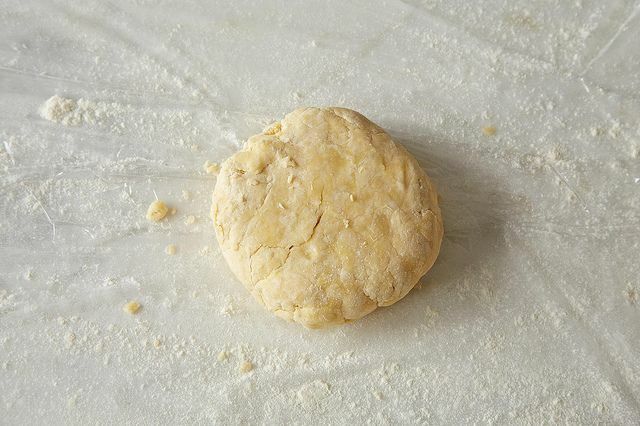 Whatever dough recipe you use, you'll just roll one out, crimp it or not, and blind bake it. You can brush on some egg white for extra insurance, but you don't really need to. Then you'll take a quarter of your berry haul -- this is your chance to weed out the soft ones -- and cook them in a little water until they explode (about 3 minutes). As they're bursting into a syrupy pulp, you whisk in a slurry of cornstarch and water, plus lemon and salt. The rest of your berries get folded in next, off the heat, and they light up -- from a low dusty blue to shimmering indigo in seconds. Then you pour it in your pre-baked crust. And you're done. The only hard part is waiting two hours to eat it. Yes, it definitely works well with strawberries. It's also delicious with peaches. 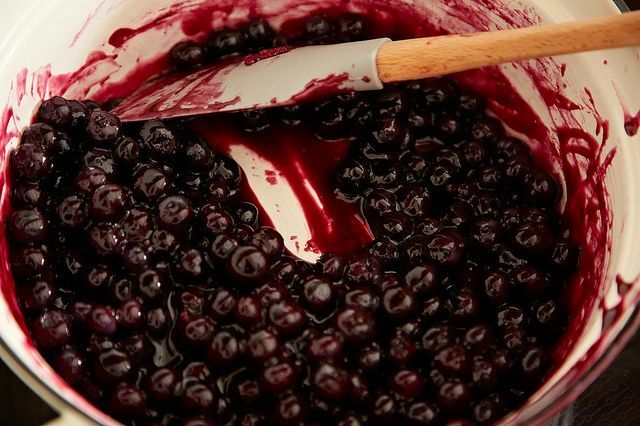 I've made Rose's blueberry pie numerous times, always to great results. I just carted a half a flat of super-rich strawberries home from Santa Barbara to Austin. Think this half-cooked/half fresh technique would work with strawberries? I'm a baker and although the pie looked beautiful, this recipe didn't do it for me. I did however use frozen berries. Not sure if it is what made the difference though. I think I prefer "goopy" berry pie. This pie is absolutely amazing. Made it a few weeks ago and gosh, I may be making more pies! I did in fact, end up using berries I froze and had no problems. I did not thaw them. It turned out amazing. The crust was well worth the effort. The non bake method turns out a pie bursting with flavor. I used my berries frozen too! It worked perfectly, I just dusted the frozen berries with a little cornstarch in case they bled. So has anyone tired this using frozen blueberries? I've got a ton leftover from summer! Does it work if you just thaw them or do you have to make concessions for extra watery berries? I made this pie twice over Labor Day, I used half and half fresh orange and fresh lemon juice and a bit of spicy cinnamon. IT WAS A HUGE HIT BOTH TIMES!! Thanks for the great recipe :-). 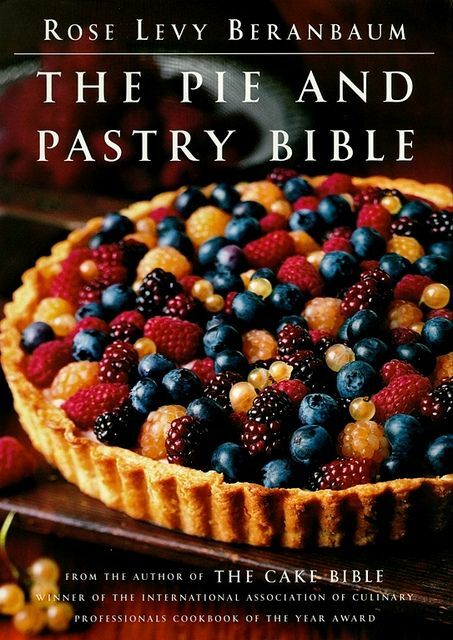 I have her book and had never tried this pie until this article...OMG...I will never ever make a blueberry pie any other way!!! 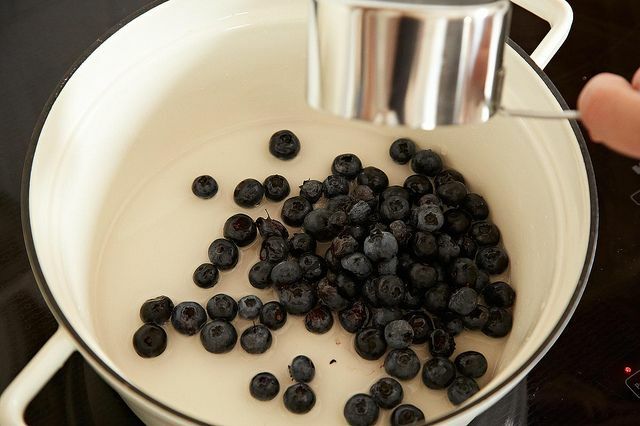 Thank you for pointing out this marvelous way to have the fresh berry taste. I love Berenbaum but not cornstarch. I came up with a blueberry pie that uses none. I make a custard with creme fraiche and eggs, a bit of vanilla. Dust the blueberries with some arrowroot powder. It all holds together mah-vel-lous. Check out the recipe at: www.cookingontheriver.blogspot.com You might need to scroll down a bit. Worth the scroll stroll. I made this today. I had real worries that it wasn't going to set up. I was prepared to have blueberry "soup" in my pie plate. How wrong I was! This is so delicious and exactly what I was hoping for. I've had two pieces so far and am trying hard to not have 3! It's so good I might want to marry it. Today I will go to eat this pie!! I am happy, thank you! from Buenos Aires, Argentine! I haven't tried it, but I think it could work. It might be a little crumbly but it will probably still taste good! Could a sugar substitute work? Diabetic issues in my house. Also, and sorry for the dumb question, but do the sugar and cornstarch both act as thickeners (so you don't need both)? Thank you. 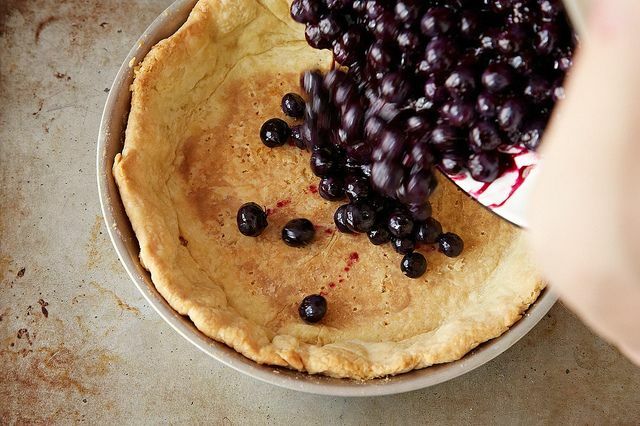 This is similar to the great blueberry pie recipe from Amanda-- I think it's called Helen Gurtz's double blueberry pie with a little bit of sweetened cream cheese (and I always add a tablespoon of rum) swirled on the baked pie crust before you add the filling. I usually use waaay more fruit than called for and mix it up with chunks of peaches, sliced strawberries, raspberries -- whatever is available in addition to lots of blueberries. it's FABULOUS!! what do you think would happen if I used frozen blueberries? Disaster? I have gallons and gallons that I froze earlier in the season. Why use cornstarch at all? Check out Julie Rosso's double crust blueberry pie recipe in Great Good Food--1/2 cup sugar (as with this recipe), 2 T. flour, spices (which I vary depending on what odds and ends I have carted to beach to use up). Light, and EASY. I have a recipe for Michigan Blueberry Pie that uses 2 cups of cooked berries and two of fresh. It's the best! 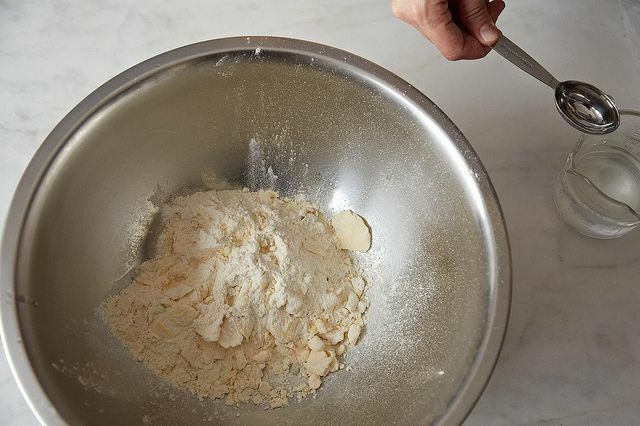 I use a combination of 1/3 cup white sugar and 1/3 cup dark brown sugar, packed plus 1 T butter, 2 T lemon juice,3T flour, a pinch of salt and 1/4 tsp. nutmeg. No added liquid. Scrumptious! I make something like this with huckleberries...the main difference is that I paint the cooled pie shell with white chocolate to make it juice-proof. The berries burst in your mouth like sweet-tart caviar...mmmm. This is the blueberry pie I grew up with and still make today. I like to add lemon curd to the whipped cream. Yum! No egg in the crust? Just making sure it was not missed out. Nope! 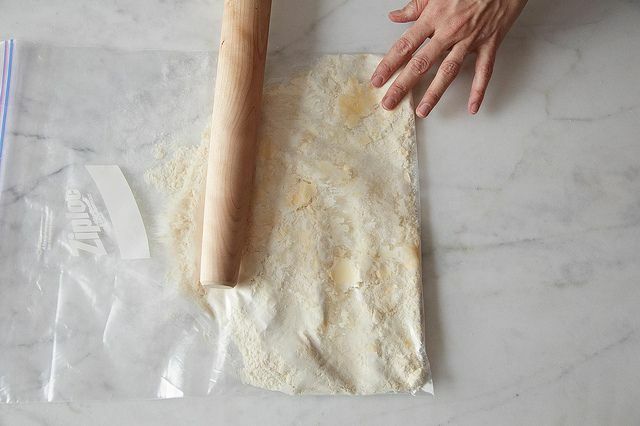 Just the optional brushing of egg white (to help create a barrier between the filling and the crust).